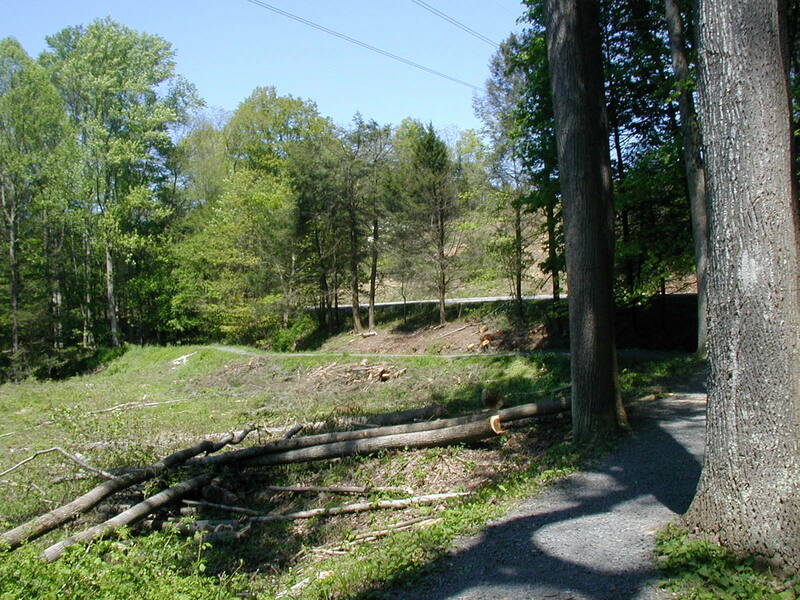 Early in the day during my walk at the Box Huckleberry Natural Area I was stopped in my tracks by nice sweet smell. It smelled like a spring day and that’s about all I can say to describe the lovely scent. I looked around and the thing was I couldn’t find the source of the smell. I did see some pinxter flower, the wild pink azalea. It was barely blooming yet with flower buds formed and only one of them open. It looked like they may even open later in the day but only one of them was opened so far and I can’t think the scent that I smelled was due to a single flower down the trail. 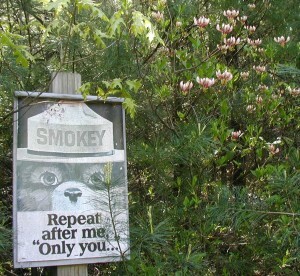 Smokey says the pinxter flower doesn't have a lovely scent. There was hardly any of the box huckleberry still blooming so I wasn’t sure where this lovely scent came from. The neat thing was it stopped me in my tracks, so I took a moment to look all around me. I couldn’t find what was blooming to make such a nice scent and then I spotted them – I saw a whole bunch of moccasin flowers or Pink Lady’s Slippers. They don’t have any smell of their own, but I was truly appreciative of the pretty scent having helped me find them. 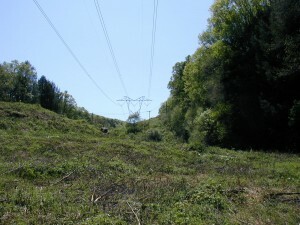 Later in the same day I was over on the Middle Ridge Trail at Little Buffalo State Park when I came across the same lovely smell. This time it was easy to find the scent producer. A Privet shrub, Ligustrum vulgare, had taken up residence some years ago right next to the trail and now it was tree-sized, probably twenty feet tall. 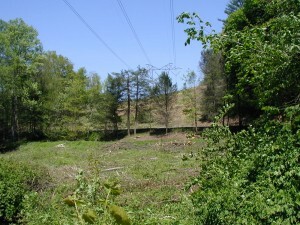 A branch of the privet hedge tree. 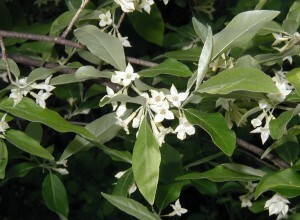 Privet shrub blooming with 3-4 inch long oval pointed leaves. The four pointed trumpet-like blooms were opening in all their glory. Trumpet-like four-pointed blooms of Privet. Tubular blossoms open to show four points. Note there are still some unopened flowers in the bud stage. A couple years ago I saw a privet shrub right next to a stop sign. 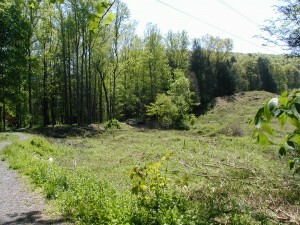 In the adjacent meadow there were a dozen or more privet shrubs that you could readily see during their bloom time in mid-Spring. The white blossoms just about cover the little shrubs. Well, being at a stop sign I guess it was noticed by someone else. When I went during the autumn to collect the scented shrub, it was gone. Perhaps the road crew beat me to it. It was stopping at the stop sign and smelling the lovely privet blossoms that introduced me to Privet. Even though it can be invasive, I will continue to enjoy its scent when I smell it. Privet is a shrub native to Europe and alien to the U.S. 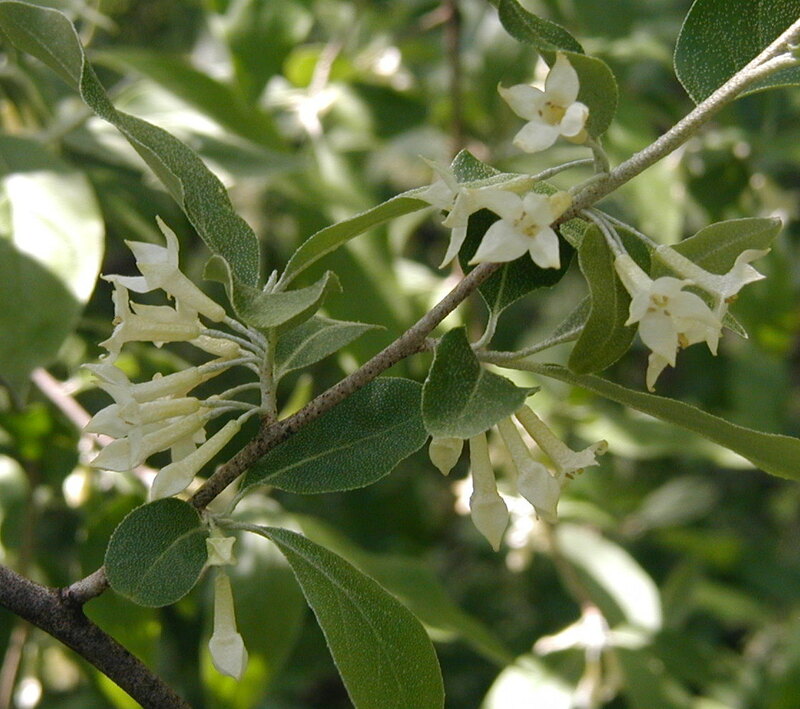 Most wildflower guides don’t have information on Privet, due to its being a shrub and not an herbaceous plant, except the Newcomb Wildflower Guide which does cover some shrubbery. 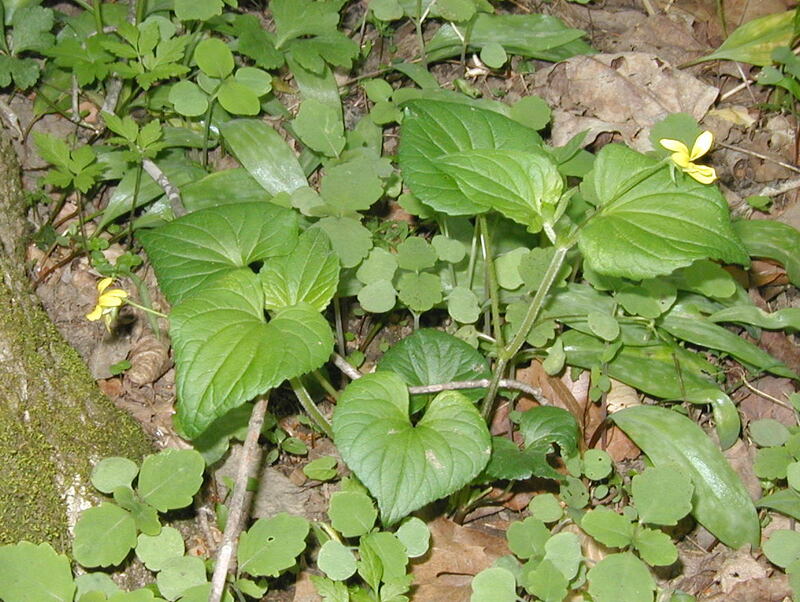 Probably the first thing noticeable about yellow stemmed violets would be their heart-shaped leaves. The leaves branch off each other which gives a nice effect of producing a clump of heart-like leaves. 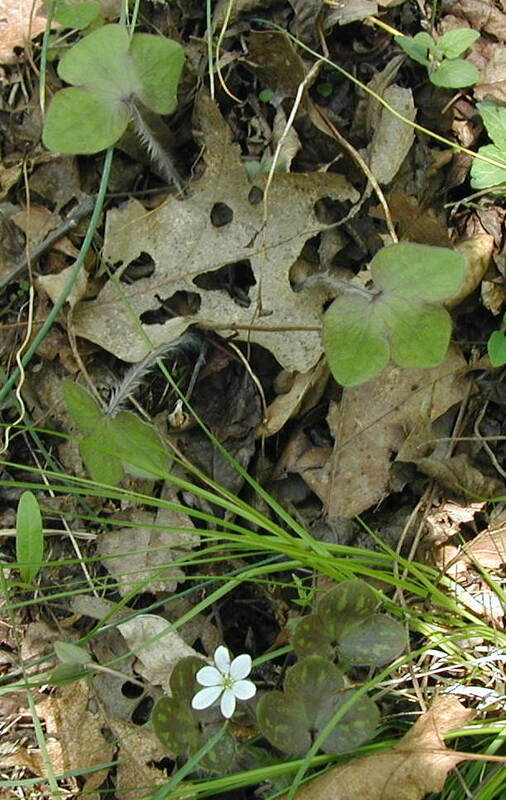 Each leaf stands apart from the other as to make the heart-shaped outlines very obvious. 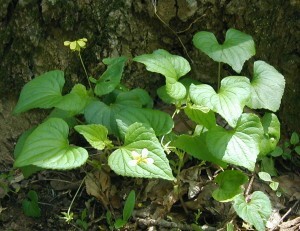 Heart-shaped leaves of Downy Yellow Violet. Stemmed violets have both flowers and leaves produced on the same stem. The differences between several yellow-stemmed violets come down to leaf shape. The yellow stemmed violet that we have here is called the Downy Yellow Violet, Viola pubescens. 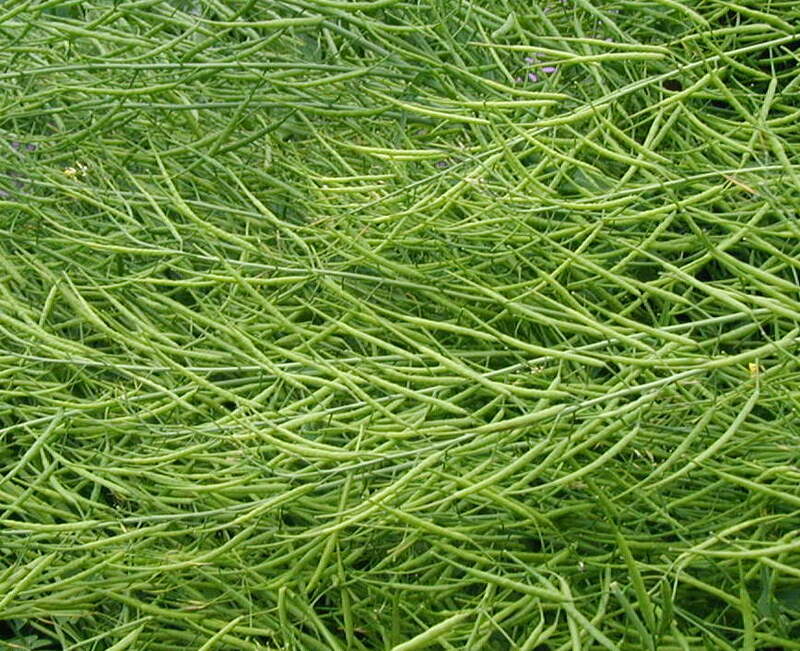 Two identifying characteristics are first, the downy or softly hairy surface of the stems and leaves, and second, the toothed stipule, which is like a tiny leaf at the base of the heart-shaped leaves. Toothed stipules of downy yellow violet. Note the yellow circle around the toothed stipule (hard to see the teeth in this image) and the downy hair on the leaves and stems. The flowers appear differently depending on the angle that you view them at. Looking down on the violet you’ll see four petals, sideways you can see the spur and straight on gives you a look at the lined lower petal. Looking down on the yellow stemmed violets. 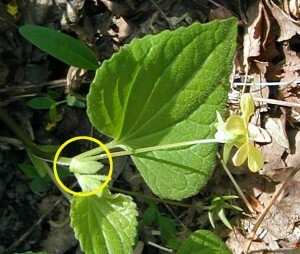 Top-side view of the Downy Yellow Violet. Yellow violets seem common in low-lying areas near creeks or wetlands. 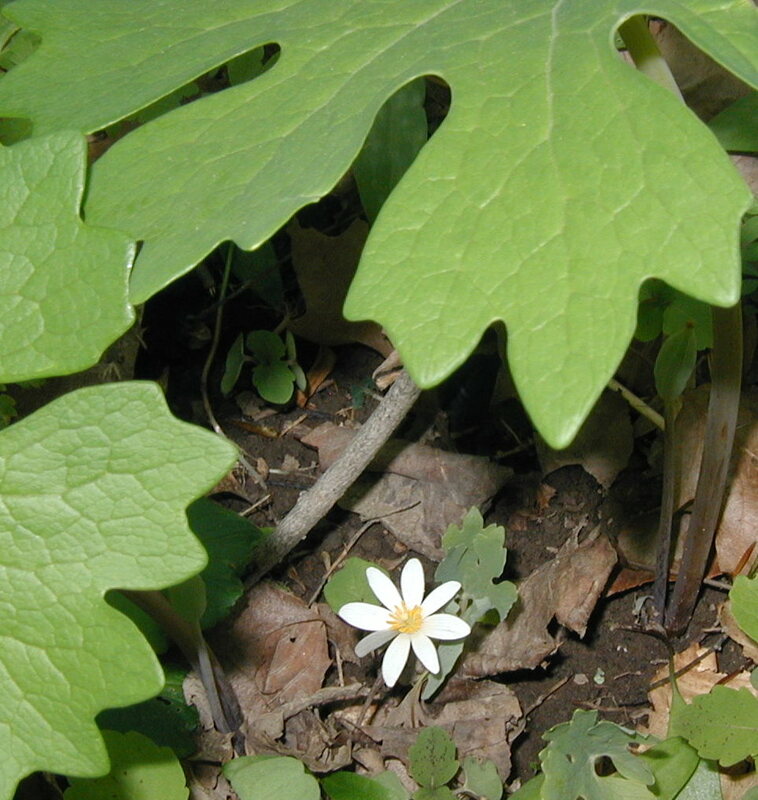 Blooming cohorts included white violets, the common blue violet, miterwort, wild ginger and wild stonecrop. Bloodroot and trout lily had already bloomed in this area. 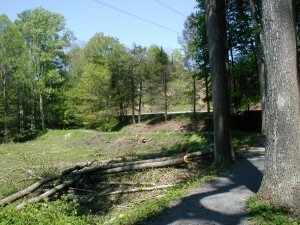 Photos were taken 30 April 2010 near the Day Use Area of Little Buffalo State Park in Newport, PA. These pretty violets – and all members of Viola – are edible, but the Peterson Edible Plants Guide tells us that the yellow species may be mildly cathartic, which means that they may act as a laxative. 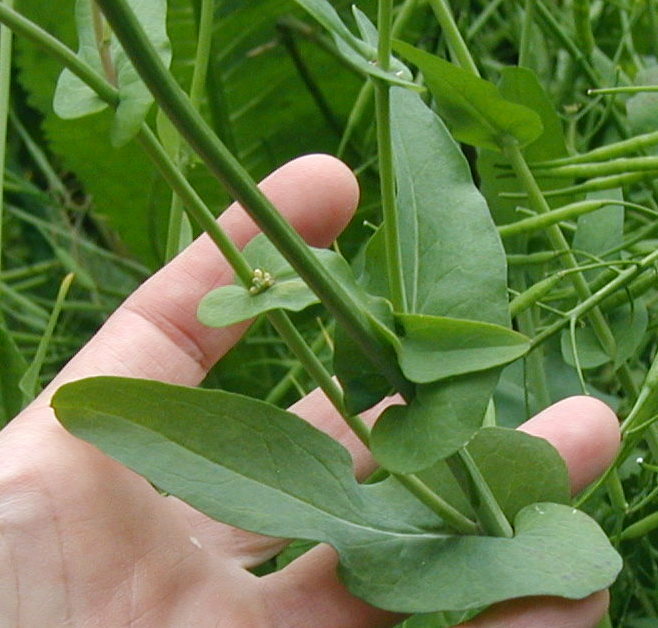 The young leaves and flowers can be added to salads. The leaves can be used to thicken soups, boiled as a cooked green, or dried to make tea. Greater Celandine has appeared to me before singly. 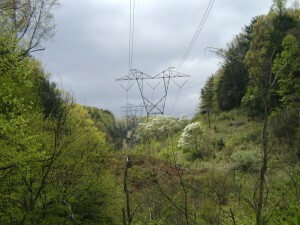 Only one plant at a time did I ever see until I went to Little Buffalo State Park on 30 April 2010. 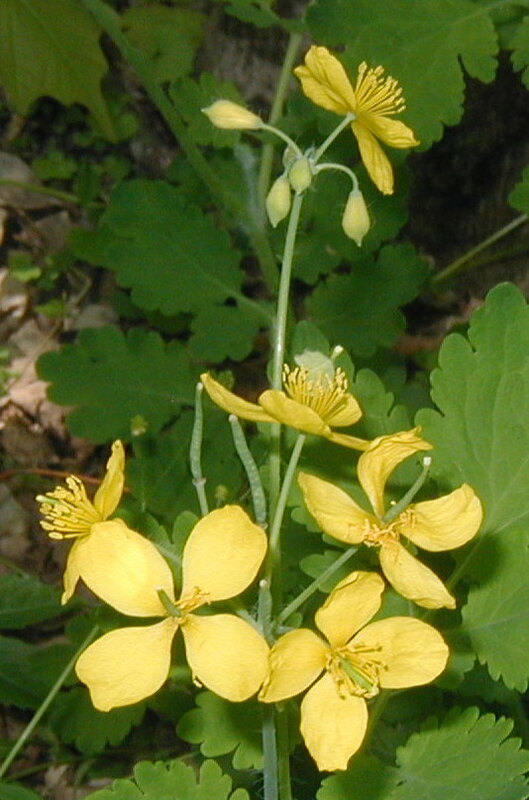 Greater Celandine, Chelidonium majus, grows to 1-2 feet tall with their yellow flowers at the highest points on flower stems that project from leaf axils. It is an alien plant in the U.S. and native to Europe. 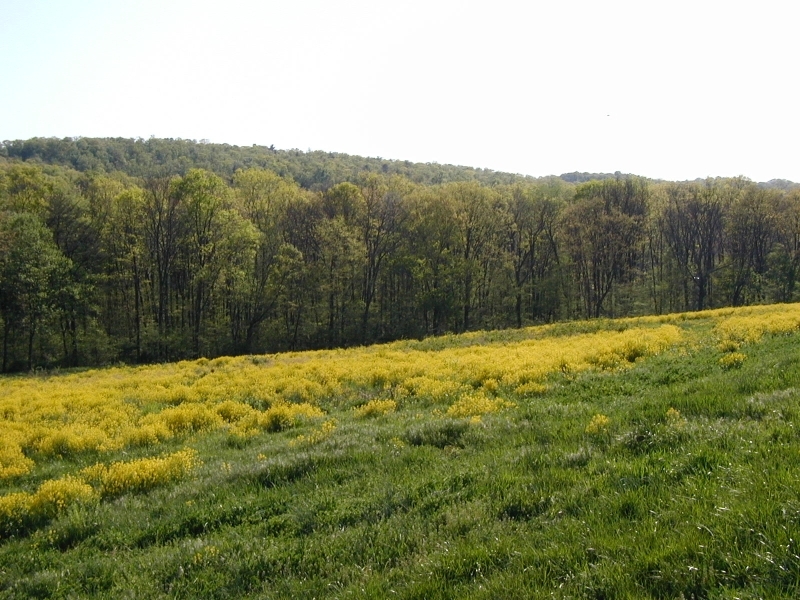 Yellow flowers top the Celandine plants at the edge of the woods. The leaves of greater celandine are unique. Perhaps that is why the plant is in its own genus – ther are no other members of Chelidonium. The compound leaves have typically five leaflets in a pattern with rounded teeth that may be so big that the leaflets have lobes. Shadows aside, it looks like a kid could have dreamed up this leaf! Isn’t that the craziest leaf you’ve ever seen? There’s not another one like it. 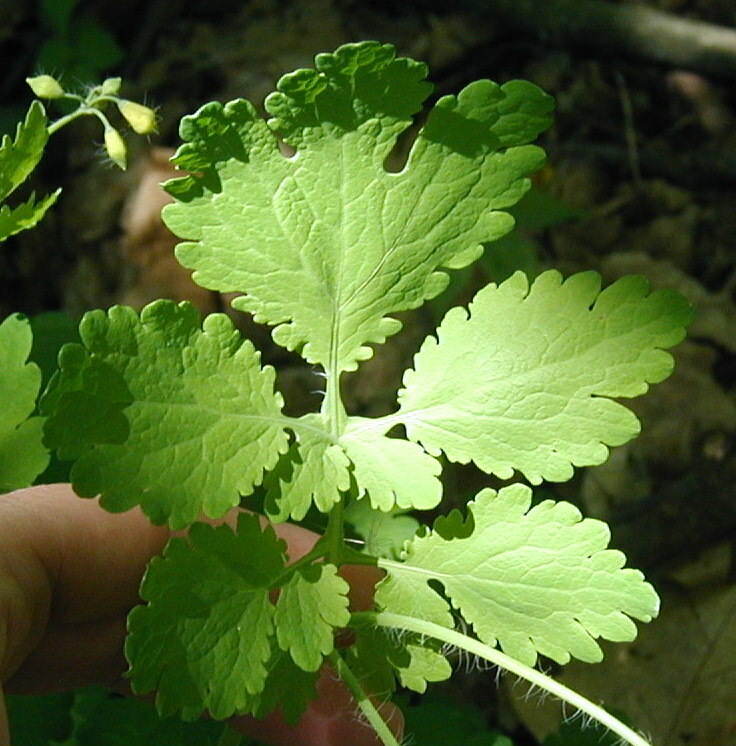 For sure you’ll be able to identify greater celandine, even if it’s not flowering, just by looking at the leaves. Loose clusters of 3/4-inch wide flowers with one to a few blossoms flowering at one time top the celandine plant. Note the bright yellow flowers with bushy stamens and four petals held out flat. 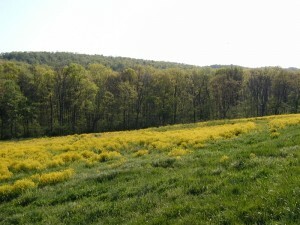 Yellow flowers and erect seed pods of celandine. In the image above note the long hairs on the flowers pods and flower stems. In the image above you can see the green part of the flower that will lengthen into the seed pod. 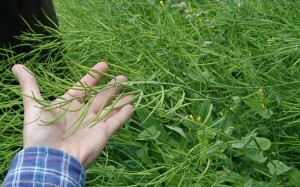 Note that there are long and smooth, slender seed pods present from previously fertilized flowers, and also flower buds that have yet to open on the taller stem. Greater celandine is found in wooded areas, especially near the edge of paths or roads or other open areas. 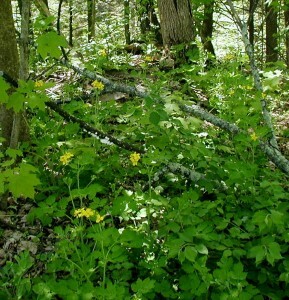 Several celandine plants at the edge of the woods. 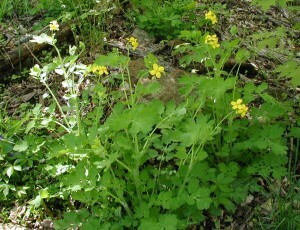 In the image above there are about ten greater celandine plants as noted by their clusters of bright yellow flowers. These celandine were at the edge of the woods as an open field was behind the photographer. The Peterson Medicinal Plants Guide warns us that the yellow juice obtained by breaking a stem is highly irritating, allergenic and most likely poisonous. 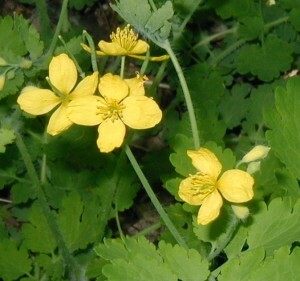 At one time the yellow juice was used as a folk remedy for skin problems like warts, eczema and ringworm, but due to its toxicity we can’t recommend using celandine for any remedy. However, modern herbalists might disagree and use greater celandine for a number of ailments. Learning family characteristics will speed you on your way to learning about new plants. If you can recognize family characteristics, you can more easily come to a decision about the identity of a wild plant, herb or flower. When you come upon a wild herb or wildflower that you don’t know, look for characteristics that will help you identify it. 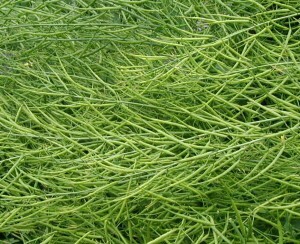 If you know some family characteristics, you may more easily identify the new herb. What other plant does this new one look like or remind you of? What features of the flower are outstanding? What is the leaf arrangement and type? Where is the plant growing? What is its habitat? The more plants that you are familiar with, the easier it is to identify new ones. Recently, I came across a plant unfamiliar to me. 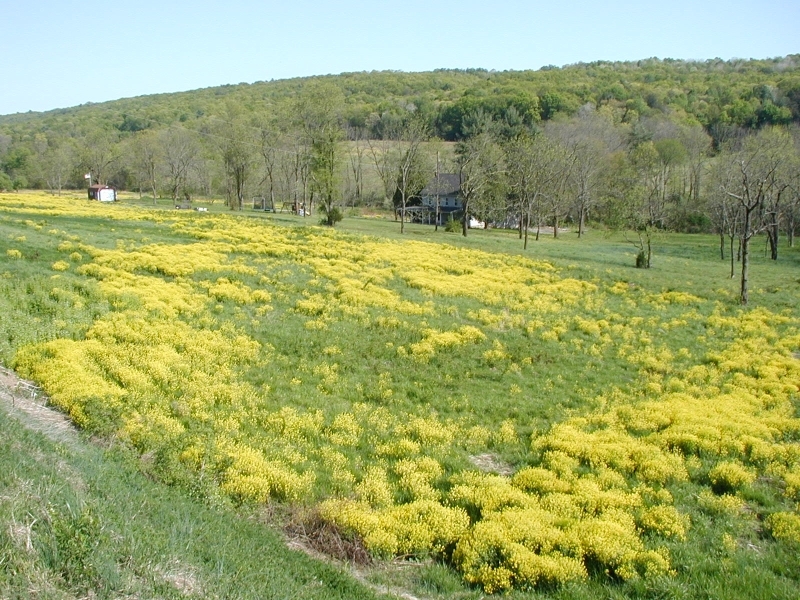 From afar anyone would have thought it was a mustard plant as they are flowering profusely in fields everywhere. This plant had yellow flowers at the top of plant, similar to the mustards. On closer inspection I saw the bright yellow flowers were very tiny and held in umbels, unlike the four-petalled mustard flowers that are not in umbels. I felt the foliage and immediately thought “Parsley! 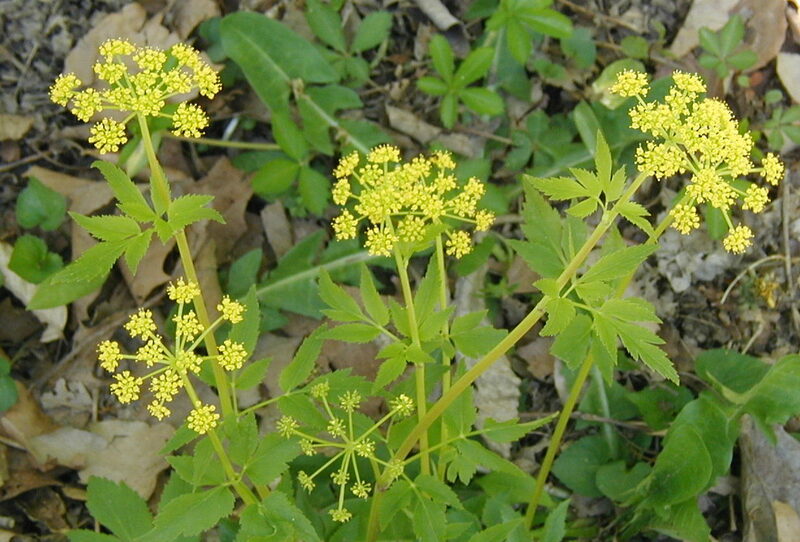 This must be some kind of wild parsley.” Upon looking it up when I got home I found out that I was right, Golden Alexanders is a member of the Umbelliferae, the Parsley Family. Kind of like a picture is worth a thousand words. Now, I’m not saying that I went through the ‘Parsley Family Character List’ in my head and decided that this new plant fit the Parsley Family. It was more like the general look and feel of the plant simply reminded me of parsley that we’d grown in the vegetable garden. You don’t have to memorize all the characteristics of a family to recognize the similarity between family members. However, the more famliar you are with the common families in your area, the easier it will be to identify the wild herbs that you find. Depending on the reference we have from 88 to 99 different members of the Parsley Family in our area. Flower color doesn’t help to distinguish plants as members of this family as they may have white, yellow, pink to red, or blue to purple flowers. 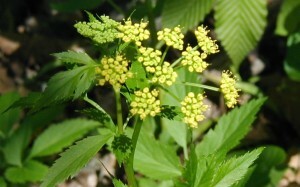 Golden Alexanders, Zizia aurea, has bright yellow flowers in compound umbels and finely cut leaves. 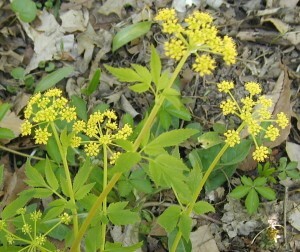 Umbels of Golden Alexanders flowers. 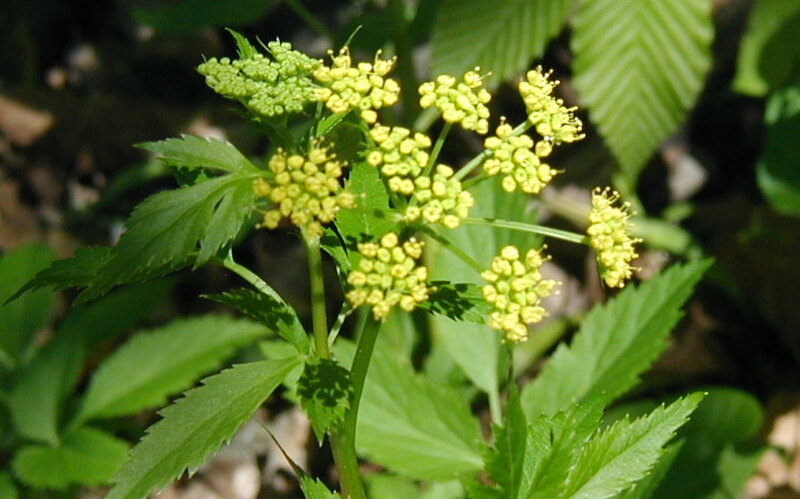 Compound umbels of golden yellow flowers are identifying characteristics of Golden Alexanders. 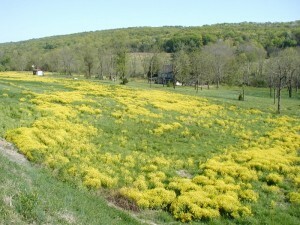 The small golden clusters of flowers are held in umbels and these also are umbels themselves. Umbels are clusters of flowers where the flower stems all originate from the same point as if forming the spokes of an umbrella. Golden yellow flowers of Golden Alexanders. 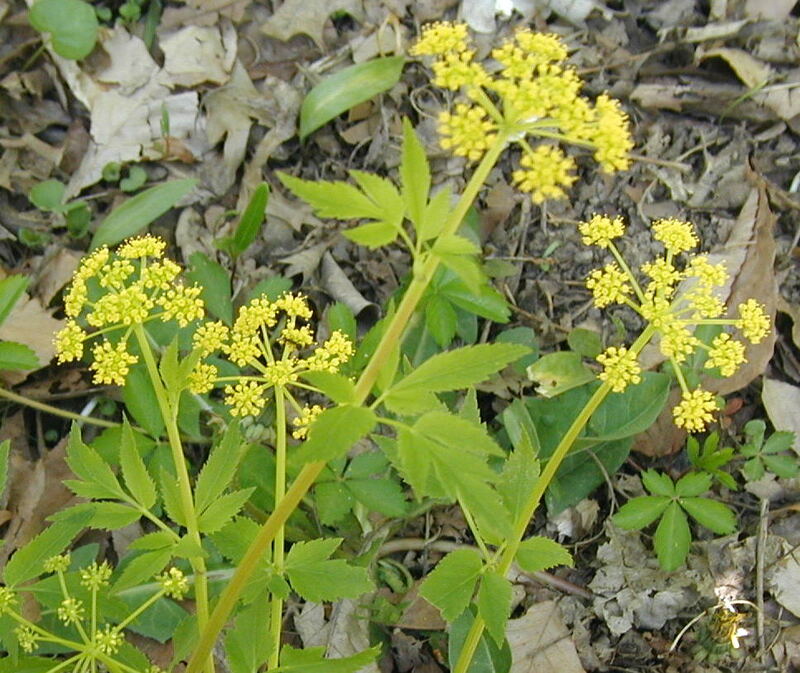 Golden alexanders reaches 1-2 feet tall with its jagged leaves cut into threes – twice. 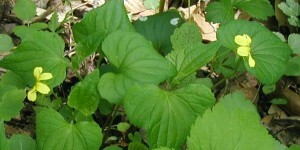 The leaves are doubly compound, where each leaf is divided into three parts and each part is further divided into 3 or more narrow toothed leaflets. The triplicate leaflets of the compound leaf of Golden Alexanders. 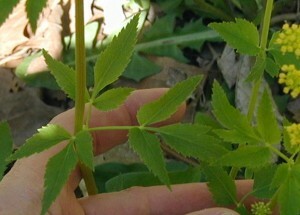 The left flower stalk in the image above illustrates one compound leaf of golden alexanders. 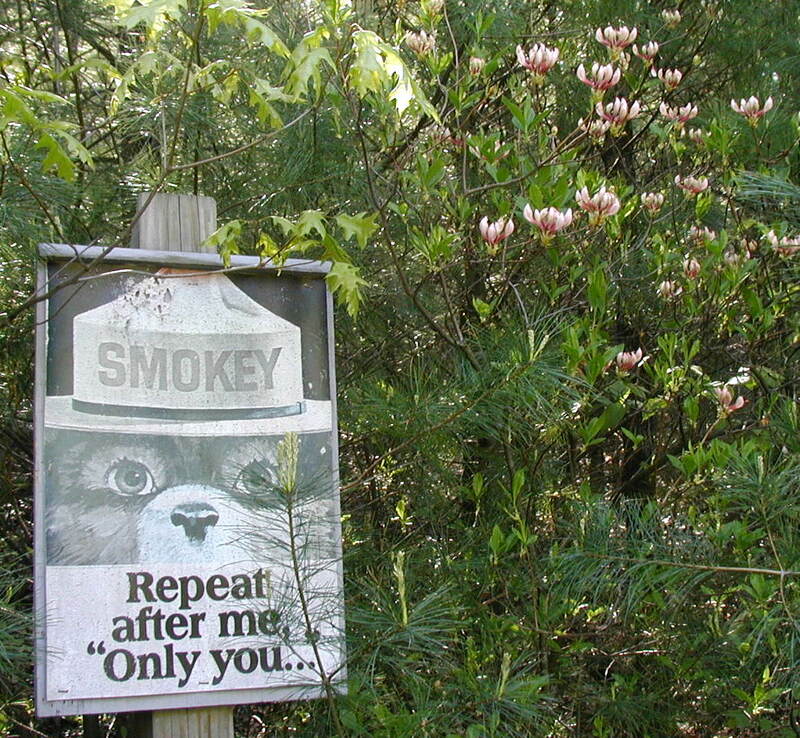 Each of three leaflets has three leaflets. Tiny yellow flowers held in umbels of umbels. Golden alexanders presented here was found adjacent to a picnic area in the Day Use Area of Little Buffalo State Park in Newport, PA on 30 April 2010. 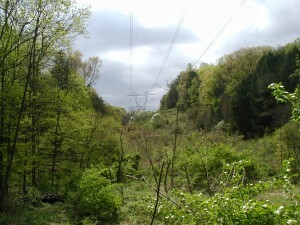 This is the same area where we saw the tremendous display of Spring Ephemeral flowers.